In Exchange of Tweets Last Night, Talking Points Memo editor casts New York City Council Speaker Christine Quinn in dark light. 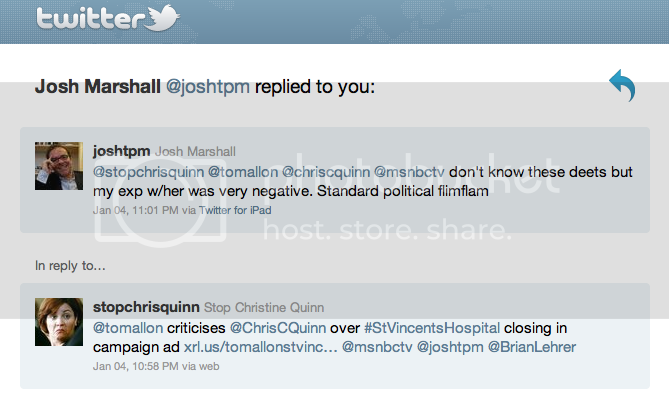 Josh Marshall, the editor and publisher of Talking Points Memo, called Christine Quinn "standard political flimflam," describing his experience with her as "very negative." The exchange of Tweets was in regards to 2013 mayoral candidate Tom Allon's full-page newspaper advertisement criticising Speaker Quinn over the closing of St. Vincent's Hospital. 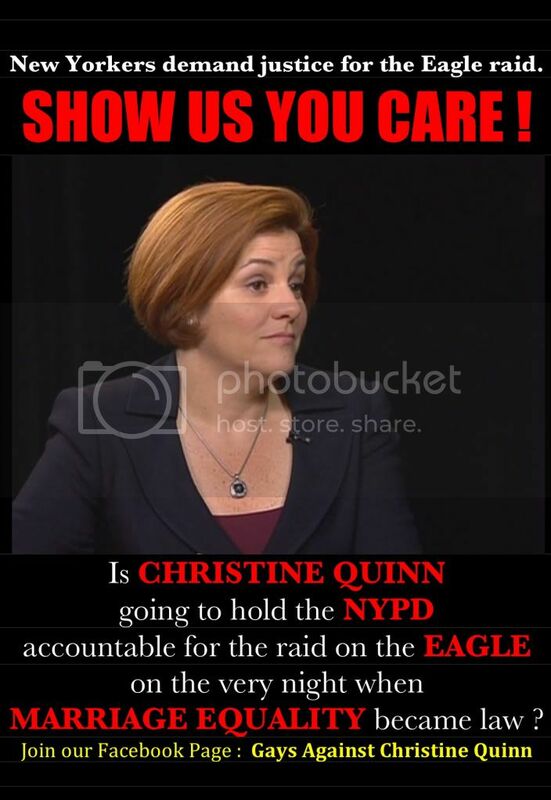 Is Christine Quinn going to hold the NYPD accountable for raiding the Eagle on the very night when marriage equality became law ? What kind of an LGBT leader is she, if she does not fight for our LGBT civil rights ? Join our Facebook page : Gays Against Christine Quinn. After City Council Speaker Christine Quinn got fluffed by NYTimes reporter David W. Chen, now comes Michael Powell, a columnist for the Gray Lady, who pulls back the curtain on Speaker Quinn's slush fund-tinged campaign for mayor. Mr. Powell reports that Ms. Quinn was appointed Speaker of the City Council after she "charmed" political bosses from Queens, the Bronx, and Brooklyn. At her coronation ceremony, she put Vito Lopez, the notorious Brooklyn political boss (who is the target of several ethical and corruption investigations) in the front row. Speaker Quinn has also scratched Mr. Vito's back in exchange for his political support. "The fates have smiled on Mr. Lopez’s social-service empire, the Ridgewood Bushwick Senior Citizens Council ; this year the Council sent more than $4 million its way," reported the NYTimes. In a statement posted Facebook, a government integrity watchdog activist questioned why the latest NYTimes article stops short of probing the status of the federal investigation into Speaker Quinn's slush fund scandal. "Instead of reporting on Quinn's criminal activity, the NY Times merely raises questions about her ethics and leadership: "But there are questions to be asked about her leadership, and not all cheery." Is it a fear of Bloomberg that prevents the Times from reporting on the well-documented budget and campaign corruption ?" Donny Moss posted on the social network. Last year, a Council majority favored mandatory sick days for New Yorkers with less than a week of vacation. The mayor opposed it. Ms. Quinn killed it. Some suggest that she has gotten lost in the game, that she can no longer recall the questions she once asked as an advocate. That sounds too definitive. Her arc is not done. The rub is that voters might care a lot. Approximately 200 union employees, residents of Far Rockaway, in Queens, and local officials, gathered in the rain outside Peninsula Hospital Center, across the bay from JFK Airport. Peninsula Hospital Center has filed a plan to shut its doors. The hospital’s owner is embroiled in a political and financial scandal, but employees and residents are worried about the threat to public health, should the hospital’s closure plan be approved. Attendees of the rally braved the rain, then, once the rally had ended, stormed into one of the lobbies of the hospital, until hospital officials called the police, to clear the lobby of its own employees. In the time that Christine Quinn had been speaker of the City Council, eight hospitals (not counting Peninsula) have closed. If Peninsula closes, it would mark the ninth hospital to close under Speaker Quinn's watch. This week, President Obama agreed to severe budget cuts to social safety net programs, that underpin the social contract we make with our government and amongst ourselves. More budget cuts to Medicaid and Medicare will lead to a further collapse of our healthcare system. Is Christine Quinn in Bermuda with Mayor Michael Bloomberg each time a hospital closes in New York City ? Is President Obama surfing in Hawaii each time a hospital closes in America ? If we obediently listen to people, who are in power (the same people who work for us, the very same people who are closing our hospitals), telling us to leave the lobby of a closing hospital, then it just makes it that much easier for the New York State Department of Health/Christine Quinn to keep closing hospitals. Is the Rudin Family eyeing their next real estate harvesting operation on the dead carcass of the Peninsula Hospital Center in Queens ? After he's done with St. Vincent's Hospital, it has been heard on the street that William Rudin is considering another real estate harvesting operation, this time at the Peninsula Hospital Center in Queens. Artist, blogger, and political commentator Suzannah B. Troy gave a speech today outside the New York City offices of SAIC to demand a RICO refund of triple damages against SAIC for their role in the organised crime that took place to rob taxpayers of over almost $1 billion in CityTime project costs. Union representatives from Local 375 and DC 37, community activists, New York City taxpayers, and others gathered at 1250 Broadway in a demonstration against the technology company known as SAIC. For years, newspaper and television reporters, bloggers, and whistle blowers have been reporting details of a massive taxpayer fraud perpetrated by New York City officials, by employees of SAIC and of another company known as Technodyne, and possibly by lobbyists in connection with the scandalous CityTime project. The CityTime project began with an original budget of approximately $60 million, but has since ballooned to over $700 million. The U.S. Attorney's Office has begun an investigation, but nobody yet knows how high this scandal, and other technology consultancy contract scandals, may go up the Bloomberg administration. The community of the Lower West Side of Manhattan are outraged over a deceptive political campaign brochure that was mailed to residents in connection with a proposed first aid clinic that may replace St. Vincent's Hospital. Community anger has reached a new high, such that one member has launched a new blog, Every Minute Matters, to counter the hundreds of thousands of dollars being spent by North Shore-LIJ and the Rudin family, to make sure that their greedy hundred million dollar condo conversion deal goes through. The slick mass mailer is an act of political subterfuge, community residents say, because it is being mailed by a front group calling itself the ''Westside Healthcare Coalition.'' (A WhoIs search on Network Solutions today showed that the website for the front group is registered to Mehigan, Bellone & Associates, Inc.) The intention of this fake political brochure can only be to intentionally confuse the public between the front group and the real group called the Coälition For A New Village Hospital. 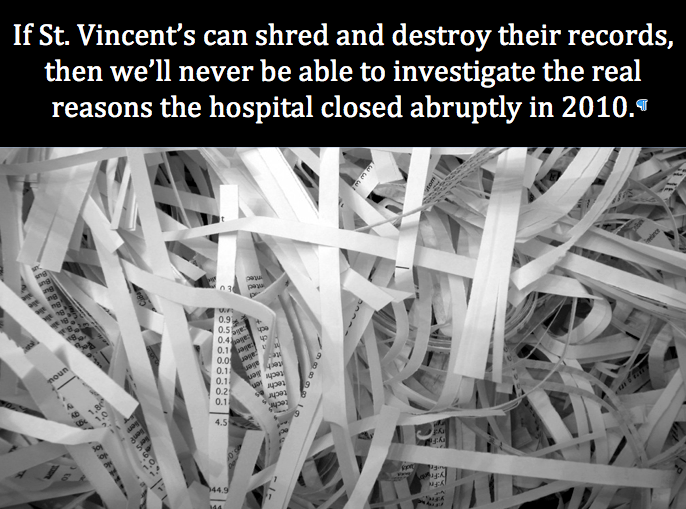 The real group has been fighting for over one year to, at first, save St. Vincent's Hospital from closing. Then, once the hospital closed under shady conditions, the real Coälition has been fighting in court to save the hospital buildings and zoning, so that a new hospital can open on the location of the former St. Vincent's site. 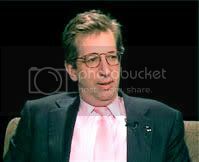 The community isn't surprised that the axis of evil (aka North Shore-LIJ-Rudin Family) would resort to spending hundreds of thousands of dollars on a sick and twisted public relations stunt ; the Rudin family stands to make hundreds of millions of dollars from the luxury condo conversion of St. Vincent's Hospital. Even in the face of these deceptive political advertisements that are being mailed to city residents, the community continues to be likewise outraged by the veil of silence around City Council Speaker Christine Quinn and Mayor Michael Bloomberg, who have taken no concrete actions to save St. Vincent's. Join us for an LGBT civil rights walk that is being organised by Connecting Rainbows. The walk will take place on April 24 during the 2011 Easter Parade in New York City. We need your help to create a mass movement to legally recognise LGBT civil rights. Create profiles, form and join groups, and plan LGBT civil rights actions at our social media site at : Connecting Rainbows. You are invited to register to participate in the LGBT civil rights demonstration that is being planned by Connecting Rainbows to take place on April 24 during the 2011 Easter Parade in New York City. We need your help to create a mass movement to legally recognise LGBT civil rights. Updated with video link ! ➔ NY1 has exclusive video of Speaker Quinn's hissy fit. A few weeks ago, Ms. Einhorn had reported that Speaker Quinn had had trouble paying her rent on time. Meanwhile, Ms. Einhorn could just as easily have said, ''Deputy Mayor'' instead of, ''Ma’am.'' For all the times that Christine Quinn has gone along with all of Mayor Bloomberg's horrible plans for New York : all of the school closings and Cathie Black's controversial schools chancellor waiver ; the unequivocal insistence that more and more luxury condos and university dorms get built out of hospitals, churches, and landmark buildings ; denying us paid sick leave ; the shady way that the City Council changed term limits ; the way that Quinn will most likely deny us a living wage -- she goes along with Mayor Bloomberg rather than stand up to him. It's almost like Christine Quinn is Mayor Bloomberg's puppet. When a deal was announced for the transfer of bankruptcy assets from the 501(c)(3) charity that was St. Vincent's Hospital to the private real estate developer tycoon William Rudin at values that may not fairly represent the full market value, the bankruptcy assets transfer was hailed as a health care miracle, because it would replace the Level 1 Trauma Center that was St. Vincent's with a first aid clinic. But just a mere examination, at first blush, of the beneficial transfer of assets to insider creditors, the jobs that it would create, and the services it would provide, show that this deal is fraught with potential legal challenges. The transfer of St. Vincent's principal assets -- its real estate -- to the Rudin family, who has always had an ''inside track'' on condo-conversion plans -- may be fraudulent, if the transfer does not happen at full market value prices. There is also community concern that the North Shore-LIJ landlord taking over the first aid clinic is going to hire only non-union employees for the 400 jobs that are expected to be created at the first aid clinic, and that the new clinic will forbid any efforts at collective-bargaining ; presently, only approximately 36 per cent of North Shore-LIJ employees receive union benefits. The services to be provided by the first aid clinic will not be able to treat ''women in labor, patients with severe trauma such as gunshot wounds or open fractures, or those requiring immediate surgery or cardiac interventions.'' In the face of the lack of life-saving services to be provided by the first aid clinic, and even the dishonest comparison of ambulance response times between 2008 and 2009 (even though St. Vincent's closed in 2010), predictably Deputy Mayor Christine Quinn can still be ''encouraged'' by the flimsy outpatient center. Meanwhile, here is a video of a press conference outside Friday's appellate court hearing in connection with a freedom of information lawsuit. 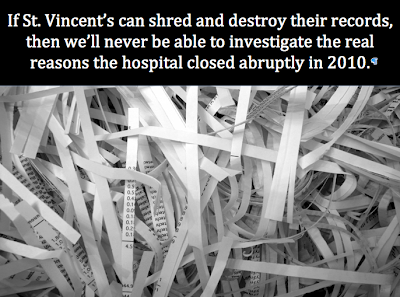 Why Are They Closing St. Vincent's Hospital? (Pt. 23) - Freedom of Information from g. sosa on Vimeo. As Mayor Michael Bloomberg and Deputy Mayor Christine Quinn try to destroy the social safety net by trying to close firehouses, shut down senior citizen centers, cut childcare, layoff teachers, pretend like votes don't go missing, build luxury condos on the hallowed ground of St. Vincent's Hospital, make money from government information, and end Progressive Era reforms, we are left to wonder. When will the focus of irresponsible real estate development at the expense of the middle class spark a voter backlash, that will lead to mass protests at the city's legislature, or a revolution of the likes that have been happening elsewhere ? What will be the spark that will trigger mass protests in New York ?